No more CeBIT. Sounds strange, right? Well, actually it didn’t come as a surprise, we have all seen CeBIT fade away into a shadow of itself during the last ten years, but nevertheless, it’s not easy to grasp the idea that the once king in the worldwide tech landscape is dead. Here, at ISL Online, CeBIT brings up a lot of good memories, so it made us reminisce about our beginnings and look back at the history of remote desktop. Looking at social media, it seems we’re not the only one to be somewhat sad to see CeBIT go. On Twitter, you’ll find long threads of posts reliving the best CeBIT moments under hashtags #CebitMemories and #Cebit. 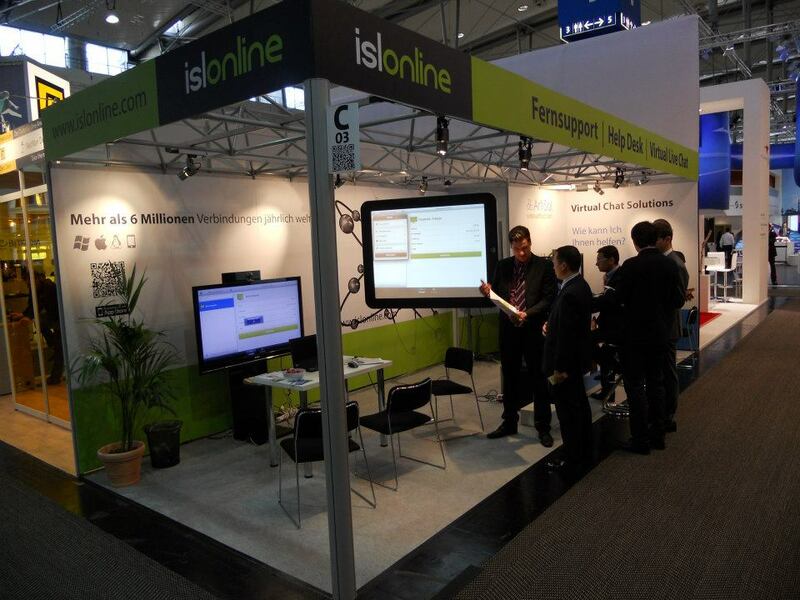 ISL Online exhibiting at CeBIT 2012. Our focus was set on mobile remote desktop solutions. We weren’t lucky enough to visit CeBIT in its best years when the show attracted over 850,000 people, but in 2005, when we first exhibited our remote desktop software in the world’s largest fairground, the expo was still flying high and the majority of the big names of the IT industry attended the show. We were full of enthusiasm when we set up on a journey to Hanover for the first time. We knew that everybody that matters in the IT world will be there, so we had to have a share of it. We were very self-confident about the remote desktop technology and our product ISL Light, but when it came to assembling our booth, we improvised. A lot. At one point the booth almost fell apart because we had used materials that were far too heavy to decorate the walls trying to make our little corner look as cool as possible. 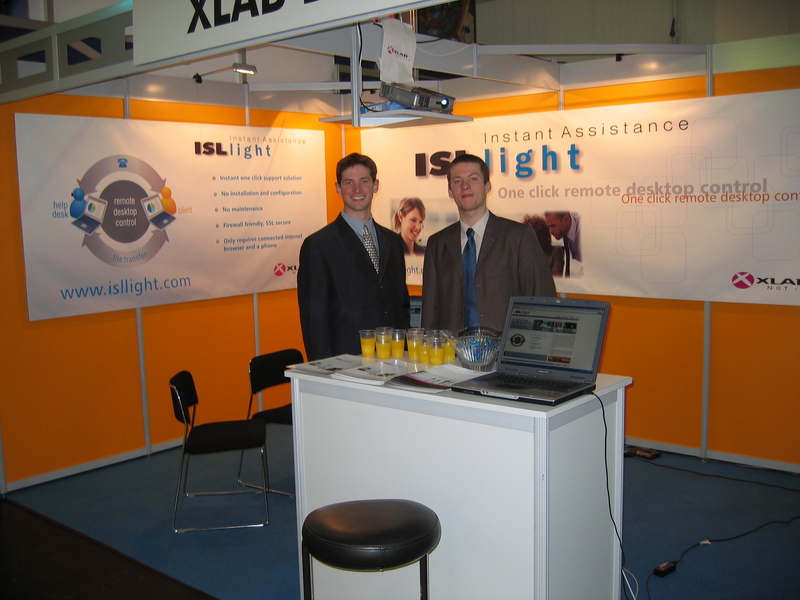 In 2005 ISL Online showcased its remote desktop software, ISL Light, for the first time on CeBIT. ISL Online representatives: Mitja Vavpotič, business advisor (left) and Jure Pompe, CEO (right). In 2005, there were three main players on the European remote desktop map: Netviewer, NTR Global (then called InQuiero) and ISL Online. Out of three remote desktop providers, that exhibited at CeBIT in 2005, only ISL Online keeps going and growing also in 2018. In the meantime, Netviewer was sold to Citrix in 2011 and NTR Global was acquired by ASG Technologies Group in 2012. CeBIT was a perfect place to get to know your competitors, finetune your competitive advantages and differentiate your brand and market approach. During our first CeBIT experience, we met the founder of Netviewer and its managers. Along with NTR Global, Netviewer was the leading remote desktop provider on the European market. In those years, when the remote desktop market was still in its infancy, they did a good job in raising customer awareness in the field. Connecting to a remote computer anywhere in the world from your office with only one click might seem like an obvious thing today, but back then when such a technology was demonstrated at CeBIT it evoked a “wow effect”. 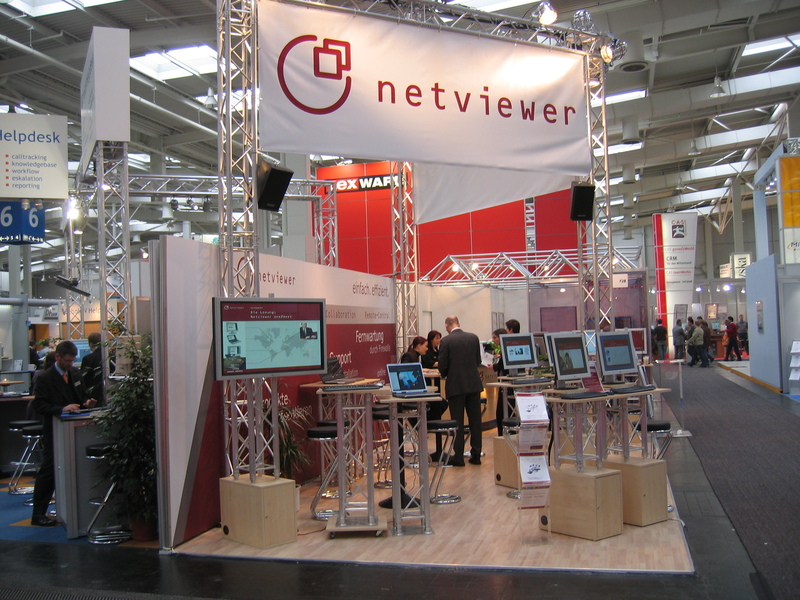 Netviewer’s booth at CeBIT 2005. What was once a network of 4 servers, has today expanded into a global network of over 100 servers hosting millions of remote desktop sessions yearly and guaranteeing an enviable 99,98% uptime. CeBIT certainly was an important experience for the ISL Online company and will hold a special place in the company’s history. Not only did we eagerly exhibit our latest achievements each time we were there, it was also a great moment to meet up with our business partners from all over the world. There was another very important aspect of CeBIT – it was an excellent teambuilding opportunity! All the preparations, the planning, the road trip itself, sharing a suburban apartment near a Greek restaurant with tasty lamb meat, building up the booth, working together from dawn to sunset – it all strongly connected the team, especially in the early years. Not to mention the unforgettable parties at the end of the day, when the show curtains fell. That’s where the “real business” happened 🙂 Goodbye CeBIT, you will be remembered. 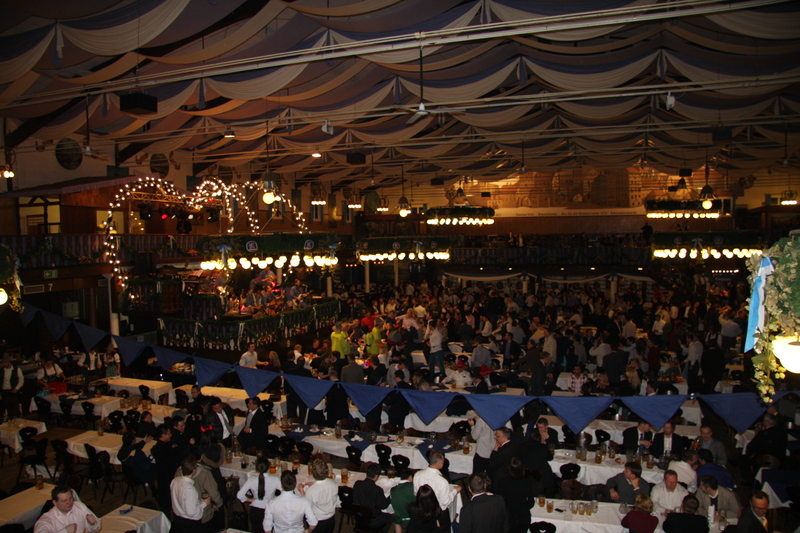 Everybody that was on CeBIT finished their day at the afterparty in Münchener Halle. Beer, live band and people having fun and sharing their business experience, sometimes even business secrets. This entry was posted in cebit, CeBIT Memories, trade show and tagged cebit, cebit 2005, exhibition, history, isl light, netviewer, ntr global, remote desktop, remote support. Bookmark the permalink.